In 2016, the manufacturer was awarded a grant to develop a 3.5-4MW turbine, according to Chanhee Son, team leader of product planning at Unison. German designer Aerodyn developed the original concept for the turbine, Son said, with its 4MW turbine with a 140-metre rotor diameter. 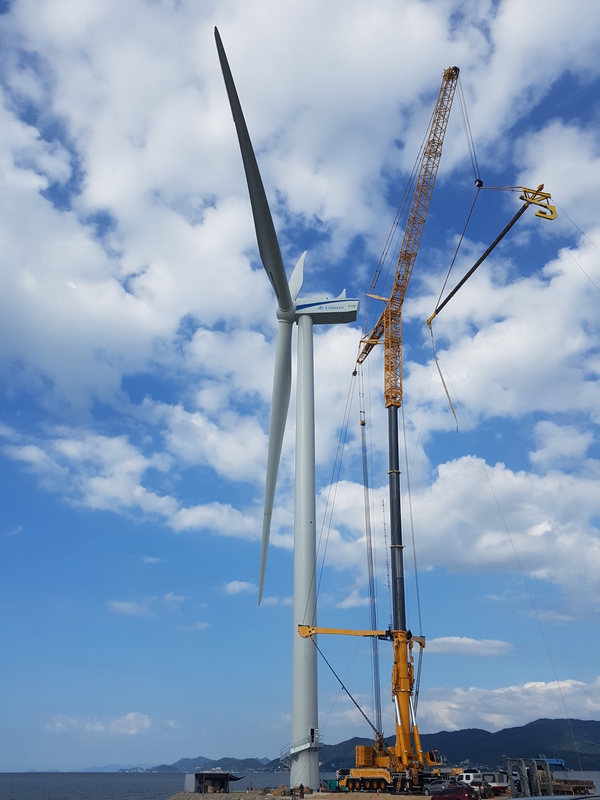 Unison adapted the design, turning it into a 4.2MW three-stage geared turbine with a 136-metre rotor. The prototype will undergo type certification tests over the winter months, with the programme due to be completed by Q2 2019. Unison also offers 2MW and 2.3MW turbine models, designed by Aerodyn. Unisonâs largest shareholder (15.6%) is Japanese conglomerate Toshiba. The firm has almost 300MW installed worldwide, but mostly in South Korea, where it claims to have roughly 250MW of operat ing capacity. Son said the new platform was being designed for both onshore and offshore deployment, with South Korea and Japan as target markets. The manufacturer also suggested a floating wind turbine application for the 4.2MW model.